Corporate executives are often inundated with data, making it difficult to pull out relevant insights. While most metrics on the executive dashboard are finance-related, executives in manufacturing organizations need visibility into operational metrics to gain more control over their business. They are looking to understand the impact operational performance has on their organization's goals. The impact quality has on a company’s success is often well understood. However, companies have traditionally struggled to establish metrics that can easily represent the effectiveness of quality in the organization. The following metrics will help you provide an accurate picture to present to the executive team. It is important to understand that depending on the type of industry, geography, company size, etc., there might be additional metrics that you want to add to this list. The definition of this metric is very similar to the way it sounds. It measures the cost incurred by an organization to manufacture a quality product. Further narrowing things down, these costs come from two main categories: cost of good quality and cost of poor quality. A detailed description of the metric and insights on how to measure it are available in our previous posts: Cost of Quality Definition and Enterprise Quality Management Software - Part 2 Cost of Quality, and Cost of Poor Quality Definition. First, overall equipment effectiveness measures how often an asset is available when it should be producing product for a customer. Second, when an asset is producing product for a customer, OEE measures how close the asset is producing to its theoretical maximum. And third, for those products that are produced, OEE measures the percentage that are produced within quality specifications. This is a critical metric in regulated industries such as medical devices, pharmaceutical, biotechnology, and food & beverages. Even in industries such as automotive and A&D, this metric plays a crucial role. It measures the percentage of products that are in compliance with government regulations and internal guidelines. It is often challenging for companies to keep employees up to date with the changing compliance landscape. Additionally, compliance areas such as REACH, RoHS, WEEE impact companies differently based on the industry, which adds to the complexity of selling in a global market. This metric measures how effective your organization is in being compliant with local, national, or global policies that impact your business. 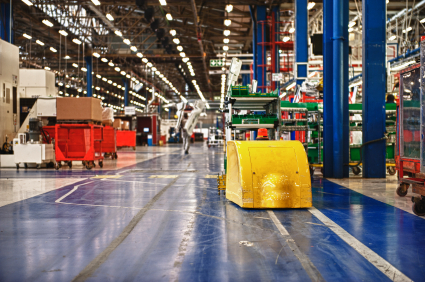 Managing the quality of the product should not be at the expense of delaying final delivery from the plant floor. Even though on time and complete shipments as a metric sounds fairly easy to understand, there are many different ways companies measure this metric. LNS Research defines this metric as percentage of products delivered on time and complete with no errors or re-promise dates. NPI as a metric is defined as a percentage of new products introduced in the market that hit time, volume, and quality targets. New products are often introduced in the market and are a source of competitive advantage in industries such as automotive and consumer electronics. Profit growth depends not only on how successful your organization is at introducing new products into the market, but also how effective your organization is at hitting NPI targets. These five key metrics provide an executive with critical insight into operational and financial performance. Does your organization measure any of the above metrics? Are there any other metrics that should be included in the description above? We would love to hear your comments on the metrics your organization is measuring. NEW eBook is a must for Quality leaders! This eBook provides senior leaders with best practices for building a business case around quality and the foundational framework needed to gain executive commitment.